There are a ton of scams that exist. And scammers will find their next victim using all kinds of mediums. Phones, the Internet, text messages, and so on. It doesn’t matter what they use. As long as they achieve their main objection of extracting as much money from you as possible, they’ll do whatever it takes to sucker in their next victim. Luckily, you just so happen to be stumbling across this. Our mission is to make sure that you don’t become the next victim in scams like the one we’ll be talking about here. We’ll be talking about a scam known as a “debt collection scam”. This is one of the many telephone scams that still happen even to this day. And people like the elderly and the unaware are more than likely to fall victim of this scam. And you may too if you’re not aware of what they are, how they operate, and how you can protect yourself from this type of scam. Let’s dig into what they’re all about, how they work, and what you need to do in order to prevent yourself from becoming the next victim of their scam. Like many telephone scams, the debt collector scam has been around for quite some time now. It’s unclear when this exactly started. But, as technology changed, scammers would often use the newer technology to employ their scammy tactics on would be victims. Today, you’ll often see scammers use fake telephone numbers (especially numbers that claim to be a local number). Some will also use VoIP software. Which means they can make calls using a telephone system on an online browser. While they’ll likely use United States numbers, there’s a good chance that they are actually operating outside of the country. So, these numbers may just be a little hard to trace. Obviously, having debt is a thing that you can have. And you can pay it off at a time that is agreed by you and the debtor. 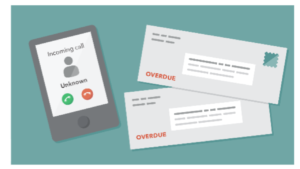 A legitimate debt collector will have information on hand that will be given to you like the name of the creditor, the amount of debt owed, and if you dispute the debt the collector will have to obtain verification of the debt. If the collector does not provide this information during contact, they are required to send you a written notice within five days of the initial contact. A scammy debt collector will do the opposite and refuse to disclose any information. Why money transfers or prepaid cards? Because these methods are hard to trace. 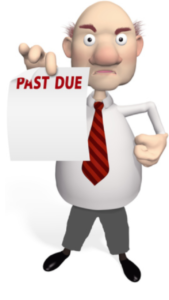 A real debt collector would prefer if you sent payments in the form or a check or money order. This is a slippery slope here. Yes, there are debts that you have to pay or otherwise you’ll face arrest. However, these debts are through the justice system. Unpaid fines may lead to your arrest. But, debts from some unknown company will not get you arrested. Scammers will use this as a scare tactic to ensure that you comply. Do not fall for this trick. This is another scare tactic that they’ll employ on unsuspecting people. At this point, it’s kind of ridiculous. Your spouse will already know about bills that need to be paid. Also, a real debt collector keeps information in strict confidence with you and only you. They will not reveal any information to your friends, family, or your employer regarding your debt. A debt collector can relay any information about your debt to your next of kin should you die and had yet to pay the debt itself. That is the only exception to the rule. But, it does come with verification for security purposes. If you don’t recognize the debt, try to ask as many questions as possible. Be sure to confirm that it is indeed a debt of which you owe. This of course consists of your bank account information, social security number, routing numbers, or anything that is tied to your identity. You should never reveal any personal information to a scammer online. If there is confirmation that the debt is indeed yours and you are dealing with a real debt collector, then you can give out any pertinent information. If you get a phone call from a so-called “debt collector” before 8AM or after 9PM, there’s a good chance that you’re dealing with a scammer. Real debt collectors will call you during normal business hours. Giving out information over the phone is a very uncomfortable thing. With that in mind, you’ll need to request some specific information from the caller. 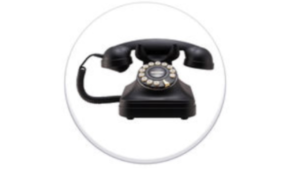 You’ll need to request the caller’s name, the name of the company, street address, and a callback number. You can use this information to make sure if they are the real deal or if they are a scammer trying to get as much money from you as possible. If you call back and the number is not functioning, it could be a scam. 2.) Be Sure That You Know Information About Your Debt Before You Pay-out Anything!! The smart thing to do before you pay any debt collector is to confirm whether or not the debt is actually yours. Be sure that you request written information from the debt collector that confirms that you owe the debt to them or the creditor. Do not pay anything until that written confirmation is sent to you. If you believe you’re dealing with a scammer, it is important to get in touch with the original creditor. Find out who is actually assigned to collect the debt on their behalf. While dealing with debt is a serious issue, knowing which debt collector is real from a scam is something you’ll need to do. Be sure to heed the warning signs above and protect yourself from this kind of scam if and when it happens. Do you have any experience with being scammed by fake debt collectors? Do you have any questions concerning this scam review? If you do, please leave your comments or questions below, and I will be more than happy to get back to you. Thanks again for checking out my post, and good luck with your success online..